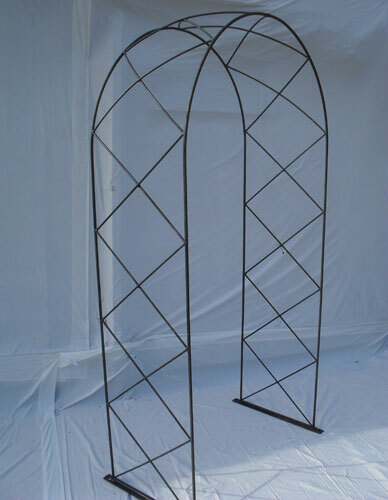 These arches come with a choice of either extended legs (need to be dug out / back filled) or supplied with 18" pins which need to be knocked through pre drilled holes in base. Both methods are to secure item in situ. For different size / finish etc please see our specifications page.